I don't really look at the stats of this blog too much. Once in awhile it's interesting. For ages there was only 1 visitor from North Dakota. Now, out of the blue, there are four. I'm fascinated. It's a massive statistical increase. 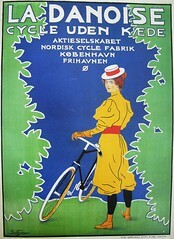 Copenhagen Cycle Chic is BIG in North Dakota. North Dakotans! Come forward! Let us salute you! Breeze is commenting? I better pay attention to more than the pics then. He built the dropouts used on my mountain bike. 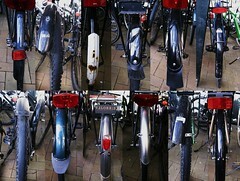 Amazing designer and velo advocate. P.S. I'm one of the reasons that great state of Texas is green. I'm in Austin, and have some good spring pics to share (soon). Blog site statistics can be fascinating! I access you from Kansas, but my sister lives in Fargo, North Dakota and cycles everywhere. I first heard of Joe Breeze last week when I saw a screening of "Klunkers", a look at some of the first mountain bike creators out of Marin County California. Gary Fisher was also featured. Looking forward to the photos, joeytwowheels! You don't know of an on-line store, with international delivery, where I can buy chain-guards and coat-guards to fit to my bicyles? I've spent a bunch of time searching in english, but haven't had any luck. which country? I have several links to some shops in the US and UK that stock some of those items. North Dakota, represent! They might have clicked over to København from here. Great site! I hope more people from Boston, New Haven and New York will be visiting your site. 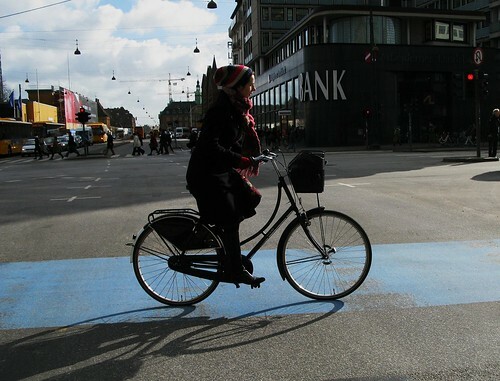 Copenhagen is a model for cities like ours! You have dominant North Dakota market share! I noticed Washington State is highlighted. I'm representing Seattle! Love your site.